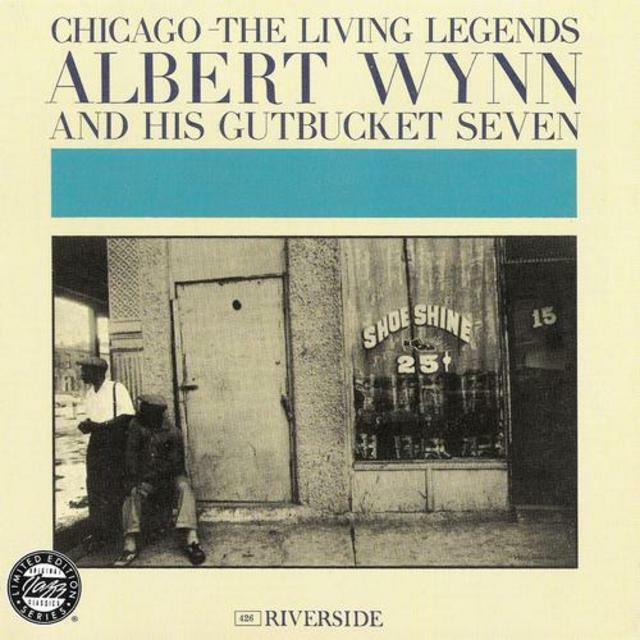 Trombonist Albert Wynn, a veteran of the Chicago jazz scene of the 1920s, recorded six selections as a leader from 1926-1928 and then headed no further sessions until he cut this full-length album in 1961 as part of Riverside's Living Legends series. Reissued on CD in the Original Jazz Classics program along with two additional cuts ("I Ain't Gonna Give Nobody None o' This Jelly Roll" and the alternate take of "How Long Blues") originally only on samplers, this is a particularly exuberant date. In addition to Wynn, the septet includes such alumni of the 1920s as clarinetist Darnell Howard, obscure trumpeter Bill Martin, Bus Moten (Bennie's brother) and Blind John Davis alternating on piano, guitarist Mike McKendrick, bassist Robert Wilson, and drummer Booker T. Washington. On a variety of Dixieland and swing standards (including "Ice Cream," "Someday Sweetheart," "Bourbon Street Parade," and "Nobody's Sweetheart"), these veterans show that they were still in their musical prime in 1961. The musicians, who were mostly in their mid-fifties, were considered ancient at the time.